December 4, 2017, Detroit Mich. — The Children’s Hospital of Michigan Foundation (CHMF) announced the approval of 83 grants totaling $3.3 million for pediatric health and wellness in their first round of grant approvals for the 2018 cycle. Since 2003, the Children’s Hospital of Michigan Foundation has dedicated itself to advancing the health and wellness of children in Michigan through philanthropic support emphasizing three pillars: Community Benefit, Pediatric Research and Medical Education. In 2017, CHMF identified five focus areas including injury prevention, oncology and cardiology research, abuse and neglect, mental health and nutritional wellness. $46,728 has been awarded to the Matrix Head Start Program – Children’s Health Screening Project to better help fulfill the mission of complete and timely medical care for children at an early age. This program seeks to ensure that all young children receive the proper and most comprehensive medical treatment they need through health screenings and trainings covering: Vision, Hearing, Blood Pressure, Prevention of Communicable Disease, Anemia and Asthma. This grant will provide funds to purchase health related equipment and supplies allowing Matrix to better execute federally mandated health screenings/trainings. $50,000 was awarded to Starfish Family Services to fund screening, assessments and intervention programs for 40 children aged from birth to six years old. These children exhibit developmental delays that threaten their cognitive growth long term. Though they are enrolled in Early Childhood Care and Education Centers and/or mental health service centers, they do not qualify for services through public or private insurance. The goal of Starfish Family Services through this effort is to provide comprehensive, multidisciplinary developmental services that will strengthen the child’s developmental progress, while also enhancing the capacity of both parents and caregivers to successfully support and adhere to the child’s needs. Due to a large number of children seeing a dramatic decline in their school performance during and after their hospitalization, the Children’s Hospital of Michigan is contracting an in-house schoolteacher to help children stay current with their school work while hospitalized, and to aid with re-entry into the school system. This new role will provide educational services such as assisting in completion of school work, planning and implementing educational activities, and coordinating homebound services for those not able to return to school after discharge. The Children’s Hospital of Michigan Foundation has awarded $51,200 to fund this endeavor. Many children diagnosed with epilepsy have seizures that can be well controlled with medication. Unfortunately, approximately 30% of children with epilepsy develop seizures that cannot be controlled. Researchers believe that brain inflammation and autoimmune mechanisms may play a role in the development of severe seizures in some children. This research study will use PET (Positron Emission Tomography) imaging in a new approach to detect brain inflammation in children with uncontrolled epilepsy to pinpoint areas of inflammation and seizure focus to aid in epilepsy surgery and to assist in identifying children whose epilepsy may be responsive to immunotherapy. The Children’s Hospital of Michigan Foundation has awarded $50,000 to fund the Henry Ford Health System’s “Game on Cancer – Kid’s Club” program. This program will give children with family members who have received a cancer diagnosis the resources to work through the fear and anxiety that comes with such an unfortunate circumstance. The primary objective is to provide 1,200 children effected by a family member’s cancer diagnosis a Game On Kid’s Club toolkit, supportive services and an annual event in hopes to build a community network for kids to be able to take a ‘break’ from cancer and lean on each other for support, reinforcing that they are not alone. Through funding and advocacy, CHMF enables researchers and community organizations to fund innovations capable of advancing children’s health. Since 2011, CHMF has provided more than $40 million in grant funding. To learn more about how the Children’s Hospital of Michigan Foundation is making an impact in our community, please visit http://chmfoundation.org/our-impact/. To advance children’s health and wellness the Children’s Hospital of Michigan Foundation is dedicated to supporting children’s health and wellness through fundraising, grant making, and advocacy. To learn more, please visit www.CHMFoundation.org. CLEVELAND, Ohio – The Mid-American Conference (MAC) announced today it has signed a multi-year partnership with the Children’s Hospital of Michigan Foundation (CHMF). This partnership allows CHMF to provide unique experiences for children during the Marathon MAC Football Championship Game. In addition, the partnership will provide an opportunity for families to enjoy the game and be a part of the pinnacle football event for the MAC. 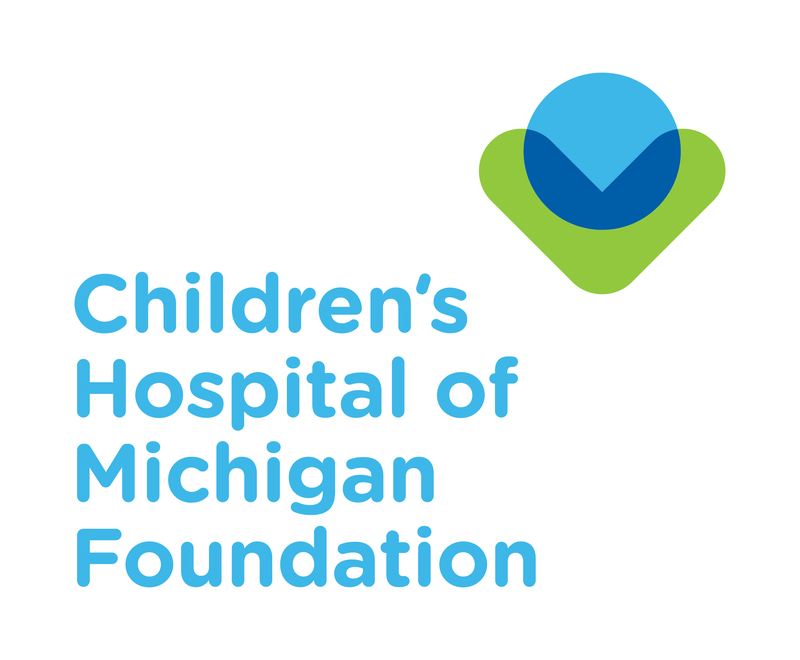 The Children’s Hospital of Michigan Foundation is dedicated to a mission focused on supporting the health and wellness of children through fundraising, grant making and advocacy. Since 2011, the Foundation has provided more than $40 million in grant funding, making it Michigan’s largest funder dedicated solely to children’s health and wellness. Through the pillars of research, education and community benefit, the Foundation is leading the charge to fund innovations in treatment, prevention and wellness that will enable children, families and communities to achieve bright and promising futures. CHMF’s current areas of focus include nutritional wellness, mental health, oncology and cardiology research, injury prevention and abuse and neglect. Current MAC schools that hold full membership and the year they joined are — East Division: University of Akron (1992), Bowling Green State University (1952), University at Buffalo (1998), Kent State University (1951), Miami University (1947), Ohio University (1946). West Division: Ball State University (1973), Central Michigan University (1971), Eastern Michigan University (1971), Northern Illinois University (1975-86, rejoined in 1997), University of Toledo (1950), Western Michigan University (1947). The conference office is based in Cleveland, Ohio. To advance children’s health and wellness the Children’s Hospital of Michigan Foundation is dedicated to the supporting children’s health and wellness through fundraising, grant making, and advocacy. To learn more, please visit www.CHMFoundation.org. Detroit, MI – Leaders for Kids (LFK) is hosting their sixth annual Cheers for Children event at the Garden Theater in Midtown Detroit on Saturday, December 9, at 8:00 p.m. Tickets include appetizers, refreshments and entertainment. Proceeds from the event will support the Leaders for Kids endowment at the Children’s Hospital of Michigan Foundation. This year’s sponsors include Colliers International, TI Automotive, James Group International, LSG Insurance Partners, W. Research Company, LLC, Jaffe Law, Palace Sports & Entertainment, Cunningham-Limp Dev. Co., Office Furniture Solutions, and KW Domain: Renee Lossia Acho. This year’s event will feature food and beverages from Lakeland Banquet & Event Centre who will be providing heavy hors d’oeuvres and an afterglow snack. Guests will also enjoy great music and entertainment throughout the night. Leaders for Kids is an advisory group of Children’s Hospital of Michigan Foundation comprised of emerging leaders from southeast Michigan who are passionate about the health and wellness of children in the region and the charitable work being performed by the Foundation. The board members of LFK serve as ambassadors, raising awareness of the Foundation’s critical mission and by raising money for pediatric medical research, medical education and community benefit programs that advance the health and wellness of children. LFK has raised more than $450,000 benefiting the Foundation, “including funds for art therapy, the Hamtramck School Based Health Center and the annual Princesses & Superheroes Party,” said Peter Ginopolis, LFK Chairman and co-founder. Please visit : chmfoundation.org/cfc17 to purchase tickets or to make a donation. For more information about Leaders for Kids and their mission, please visit www.LeadersForKids.com or CHMFoundation.org. The Children’s Hospital of Michigan Foundation is dedicated to the support and safekeeping of the health and wellness of children through fundraising, grantmaking and advocacy. Since 2011, the Foundation has provided more than $39.6 million in grant funding, making it the state’s largest funder dedicated solely to children’s health and wellness. Learn more at chmfoundation.org. Detroit, MI – The Children’s Hospital of Michigan Foundation has appointed Erik Morganroth of Birmingham to its Board of Trustees. Morganroth works as a real estate developer with projects covering a wide range of residential and commercial sales and management, as well as partnerships in commercial development projects both locally and nationally. He has been a Managing Partner at Carmela Holdings since 2011 and the owner of Morganroth Real Estate since 1998. Morganroth is an avid traveler, wine collector, art collector and recognized foodie, and has been published in local and national magazines about the food and wine industry. Morganroth is also committed to his community. He currently sits on the University of Michigan Frankel Cardiovascular Center National Advisory Board, the Child Abuse and Neglect Council (CANCO), the Karmanos Institute Partners Board, the Oakland County Sherriff’s Committee and the City of Birmingham Board of Zoning Appeal. Morganroth’s past volunteer experience includes being a speaker and contributor for both the Gift of Life/Organ Procurement Agency of Michigan and the American Heart Association, a Board Member of the Detroit Institute of Arts – Founders Junior Council, and a Board Member of the Michigan Opera Theater Young Professionals group. The Children’s Hospital of Michigan Foundation is dedicated to the support and safekeeping of the health and wellness of children through fundraising, grantmaking and advocacy. Since 2011, the Foundation has provided more than $39.6 million in grant funding, making it the state’s largest funder dedicated solely to children’s health and wellness. Learn more at chmfoundation.org. For a complete list of Trustees, visit chmfoundation.org/leaders-boards-of-trustees-and-staff/. As part of National Child Passenger Safety Week (Sep 17-23), AAA is teaming up with its community partners to host Seat Check Saturday. This is part of a national campaign to encourage parents and caregivers to make sure children are riding safely and securely in a proper seat. Adults with child passengers will be offered free seat checks by a certified technician. The child must be present at the seat check. The event is open to the public. The event kicks off with a 10AM presentation of a $10,000 donation in the form of an oversized check from AAA to Children’s Hospital of Michigan Foundation. This donation is part of AAA’s long-standing support of traffic safety and a six-year tradition of supporting local efforts to fund child passenger safety programs as part of the Children’s Hospital of Michigan-DMC-Kohl’s Injury Prevention Program. AAA and the American Academy of Pediatrics recommend all infants and toddlers ride in a rear-facing car seat until they are two years of age or until they reach the highest weight or height allowed by their car seat’s manufacturer. Older children may also be at risk of injury if riding in the front seat before they are ready. The National Highway Traffic Safety Administration (NHTSA) reports that nearly 60% of vehicle crashes are frontal impacts and 20% are side impacts. Children under the age of 13 should ride in the back seat because they are typically not large enough to safely ride in the front seat and can be seriously injured by front passenger air bags in the event of a crash. This is especially significant since the attached recent AAA Consumer PulseTM survey of Michigan parents revealed that 77% of parents allowed their child to sit in the front seat of a moving vehicle at age 12 or younger. On a positive note, the study also revealed that close to 95% of parents are using a child safety seat for their young children. The AAA Consumer Pulse™ survey was conducted online among residents living in Michigan from April 11-30, 2017. Approximately 227 parents with children under 12 years old completed the survey among the general population. Survey results have a maximum margin of error of ± 6.5 percentage points. The Auto Club Group Traffic Safety Foundation, Inc. (ACGTSF) is a 501(c)(3) non-profit organization and public charity dedicated to producing a significant and continuous reduction in traffic crashes, injuries and deaths in the communities targeted by its efforts. It was established by AAA – The Auto Club Group in 2010. ACGTSF provides programs, education and outreach to increase public awareness about the importance of traffic safety and improve driving behavior. ACGTSF is funded by voluntary, tax-deductible contributions from organizations and individuals who support ACGTSF’s purpose. Visit www.AAA.com/Foundation for more information. AAA in Michigan celebrated its 100th Anniversary – A Century of Service last year and has over 1.4 million members across the state. It is part of The Auto Club Group (ACG). Connect with us on Facebook and LinkedIn. July 28, 2017, Detroit, Mich.— Children’s Hospital of Michigan Foundation (CHMF) announced the approval of 4 additional grants totaling more than $200,000 for pediatric health and wellness programs. This additional funding brings CHMF’s total funding approved in 2017 to more than $5.19 million. Established in 2003, CHMF is dedicated to advancing the health and wellness of children in Michigan through philanthropic support emphasizing five primary focus areas: injury prevention, oncology and cardiology research, abuse and neglect, behavioral health, and nutritional wellness. Funding to Authority Health for an innovative new partnership to provide improved access to health care in several underserved social welfare and school locations, and provide urban health care experience to medical residents, through partnerships with Loyola High School, Black Family Development, and the Thrive By Five program at The Development Center. To support two American Psychological Association (APA) accredited psychology PhD interns at the Children’s Hospital of Michigan. Support of these interns will not only serve the mental health needs of patients at Children’s Hospital and the community, but will enhance the field of pediatric Health Service Psychology. A this time, the Children’s Hospital of Michigan Psychology Internship is the only APA-Accredited Psychology Internship with a focus on Pediatric Psychology in the State of Michigan. To provide special needs car seats for patients discharged from the Children’s Hospital of Michigan whose conditions do not allow them to use a standard car seat. “These additional grants are important to our strategic priorities. The grant to Authority Health is a wonderful example of our new approach to broaden our impact on the community. In this case, it’s a dynamic partnership involving five community organizations,” commented Lawrence J. Burns, President & CEO of the Children’s Hospital of Michigan Foundation. To view a full listing of grants approved in 2017, CLICK HERE. July 11, 2017, Detroit, Mich.— Children’s Hospital of Michigan Foundation (CHMF) announced the approval of 124 grants totaling $4.74 million for pediatric health and wellness thus far in 2017. Established in 2003, the Foundation is dedicated to advancing the health and wellness of children in Michigan through philanthropic support emphasizing five primary focus areas: injury prevention, oncology and cardiology research, abuse and neglect, behavioral health, and nutritional wellness. $64,554 was awarded to the Children’s Hospital of Michigan, to fund a home monitoring program for children with complex heart defects, who are extremely vulnerable at the very beginning of their lives. Providing families with iPads so they can directly connect to the hospital via web-based and social media formats will allow doctors to not only monitor the child remotely, but also make adjustments in their medical care as necessary. $50,000 was awarded to the City of Detroit for the Grow Detroit’s Young Talent initiative. This program is a citywide summer jobs program that trains and employs young adults between the ages of 14 and 24 for 6 weeks in July and August. “When I met with Mayor Duggan and asked how the Foundation could help support his effort, this program was at the top of his list. This program will help children in our community gain meaningful work experiences that will create pathways for their future,” said Lawrence J. Burns, President & CEO of Children’s Hospital of Michigan Foundation. Malnourished children, either over or undernourished, are more likely to get sick, recover more slowly from illness, require hospitalization and perform poorly in school. “Add to that the immune response to vaccinations and there may be a relationship between obesity and secondary immunodeficiency. Thanks to the support of the Foundation we will now be able to determine if there is indeed a link,” said Wayne State University Dr. Pavadee The Foundation approved $25,160 to Wayne State University to support Dr. Poowuttikul’s research. In Michigan, 1 in 10 children live in families that have been investigated for abuse or neglect, an increase of 41% since 2006. “Thanks in large part to the Children’s Hospital of Michigan Foundation, we are able to offer Kids TALK Children’s Advocacy Center,” said Kari Walker, President and CEO of Guidance Center, another grantee. The Foundation approved $60,000 to continue Kids TALK, a community-based program that serves children through 17 years of age, providing comprehensive services to suspected child victims of sexual abuse, physical abuse, neglect, or other forms of psychological trauma, including witness to violent crimes. Because sleep-related deaths are the leading cause of death among babies, 28 days to one year old, The Michigan Health Endowment Fund sought to support implementation of effective strategies to reduce sleep-related deaths, including strategies identified by the State of Michigan’s Infant Mortality Reduction Plan. In partnership with the Michigan Health Endowment Fund, $80,328 was awarded to Children’s Hospital of Michigan to support the Safe Baby Academy: Protecting Your Sleeping Baby program to help reduce infant mortality. “The Michigan Health Endowment Fund and the Children’s Hospital of Michigan Foundation are critical partners in ensuring our children are safe,” said grant recipient, Christina Shanti, MD, Chief of Pediatric Surgery at the Children’s Hospital of Michigan. “The funds will be used to provide infant safety and safe sleep education.” This grant will make a positive impact on hundreds new and expectant mothers and caregivers. Congenital heart defects are a leading cause of infantile death in the United States and a significant health burden for many children. Heart transplantation is life saving for hundreds of these infants and children, but unfortunately 20% of children on the heart transplant list will die each year awaiting a new heart due to the scarcity of donors. Through a donor designation, $90,220 was approved to go to the University of Michigan C.S. Mott Children’s Hospital to fund research that has the potential to transform how donor hearts are preserved and eventually transplanted for pediatric patients in dire need for a new heart. “This ground breaking research has the potential of greatly enlarging the pool of donor hearts available for transplant, impacting children locally and regionally,” stated Dr. Michael Klein, pediatric critical care surgeon at Children’s Hospital of Michigan. Of the 2017 grants funded to date, 62 percent of the grants were awarded to fund programs and research at The Children’s Hospital of Michigan, while 17 percent went to fund programs and research at Wayne State University. A complete list of grants may be viewed here. “We are extremely grateful to have the opportunity to review all of the grant applications, and determine, based on our priorities, where we can help make the biggest impact,” said Burns. DETROIT, Mich, June 6, 2017-The 33rd Annual Festival of Trees, a benefit for the Children’s Hospital of Michigan Foundation, returns to the Ford Community & Performing Arts Center November 19th through November 26th. April 3, 2017 – Detroit, Mich.— On average, the Detroit Fire Department responds to over 30,000 fires a year, roughly 82 per day. Children under the age of 5 are at the greatest risk of death and injury due to home fires. Thanks to a generous $100,000 grant from the Richard and Jane Manoogian Foundation, the Children’s Hospital of Michigan Foundation is able to fund the Smoke Alarm Installation and Fire Safety program at the Children’s Hospital of Michigan, which focuses on preventing and reducing fire related injuries. The Smoke Alarm Installation and Fire Safety program supports at-risk families in the community with fire prevention education and safety tools. This funding will go toward the purchase of smoke alarms, carbon monoxide detectors, and educational and training materials. “Jane and I are honored to make this grant to the Children’s Hospital of Michigan Foundation. Programs like this play a key role in making our community a safer, healthier place for families and children,” said Richard Manoogian. In response to the staggering number of children visiting the Emergency Room due to preventable injuries, the Children’s Hospital of Michigan Foundation supports several Injury Prevention Programs at the Children’s Hospital of Michigan. The goal of the Children’s Hospital of Michigan Foundation is to make a significant, lasting and positive impact on children’s health through three primary areas: Pediatric medical research, innovative community benefits and advanced medical education. Through our efforts to improve children’s health and wellness, children have more days to play, nights to dream, and time just to be kids. While the Foundation supports Children’s Hospital of Michigan, it is a separate public charity governed by its own independent board of directors. CHMFoundation.org, @CHMFoundation. For 130 years, the Children’s Hospital of Michigan has been dedicated to providing high quality care to children and adolescents in a caring, efficient and family-centered environment. With more than 40 pediatric medical and surgical specialty services, the hospital draws patients from nearly every Michigan County, 39 additional states, and 22 countries, annually and provides the highest level of pediatric specialty care available for children. The hospital is a national leader in cardiology and heart surgery, neurology and neurosurgery, nephrology, and orthopedics. It is ranked as one of America’s best hospitals for children and sees more children than any hospital in the state. Children’s Hospital of Michigan is one of eight hospitals operated by the Detroit Medical Center (DMC). Smoke Alarm Installation and Fire Safety Program. The smoke alarm program is a collaborative effort of the Children’s Hospital of Michigan Foundation, the Children’s Hospital of Michigan (CHM) Trauma Center, and local police and fire departments. Teams of trained volunteers from CHM and local community organizations coordinate to install smoke alarms and carbon monoxide detectors on the floors that do not have them. The existing smoke detectors in the home, if any, will be checked during the installation to ensure they are working properly. Batteries are changed as necessary, and smoke detectors found to be outdated or not working properly are replaced. At the time of the installation, families are encouraged to make a commitment to test the smoke alarms once a month, develop a fire escape plan, practice escape routes regularly, and maintain the fire safety equipment in the home.